My co-workers are the best. Last summer, we decided to make a food club. I made us a blog and every month people post a recipe and then we talk about it at our club meeting. Think "finer things club" but just with the food. Last week was my turn to bring something so I brought Garden Chowder. When I was at BYU, Kelsey Nixon (who had competed on Next Food Network Star) came and gave a demo for a stake relief society. I wasn't even in the stake, but I saw the poster somewhere for the announcement so I decided to go! I sat by myself and sat in the back, but I learned a lot of great tips and tricks about knife skills and also got to sample this great soup. I doubled the recipe to bring to work and my coworkers gobbled it up. It was pretty fun because Becca brought baguettes and Martha made chocolate covered strawberries so it was a real Zupa's experience. This soup is available in the summer at Zupa's Cafe! Local chef, Kelsey Nixon, developed the recipe for Zupa's. She now has a show on Food Network! This soup is super easy to make. It's very affordable and all of the vegetables grow well in Utah. I chose to make a lightened up version with a little less butter and cheese. Adapted from this blog. 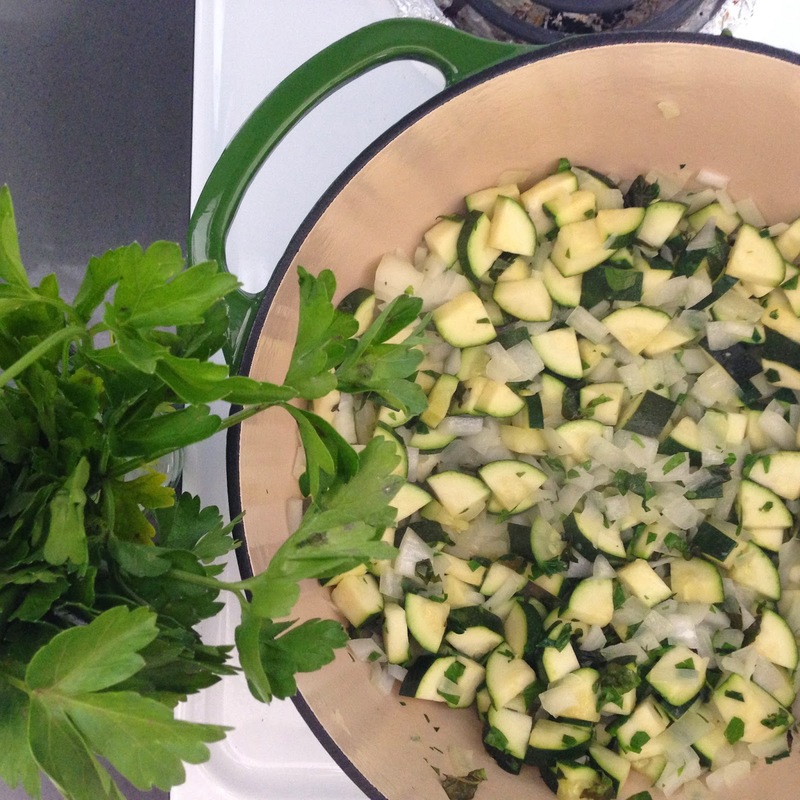 In a 5 Qt pan (or larger) sauté zucchini, onion, parsley and basil in 1 tablespoon butter until vegetables are tender. Stir in flour, salt and pepper. Gradually add in water. Add the bouillon cubes and lemon juice. Bring to a boil. Cook and stir for roughly 2 minutes until it starts to thicken. Add tomatoes, corn, and milk. Bring to a boil. Reduce the heat and let it simmer for 5 minutes, or until corn is tender. Before serving, add in Parmesan and cheddar cheese.